Good news #1: So happy that the necklaces I ordered from Hongkong through Ebay is finally here!!! I've been looking for the perfect cross necklace--and here it is. Good news #2: Archive Clothing will launch it's new line--SOON! It's gonna be called Going Modern by Archive. Our first collection is mostly of rompers so watch out! It’s basically new clothes designed after vintage pieces. This is perfect for those who doesn’t want pre-loved clothes but loves the vintage feel. Good news #4: I'm truly so honored to be named Chictopia's Style Icon for the month of June!!! :) I was not expecting this coz there were a lot of other great candidates. Such a sweet surprise. I'm so happy. Do check out my Chictopia blog HERE. I love the T-strap shoes! Lovely! hurray for all these achievements! you truly deserve it, you know!! you're so chic all the time!! your outfits are so cool! 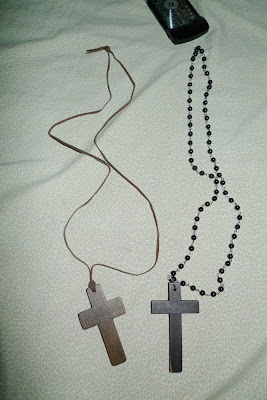 i like the cross necklaces! 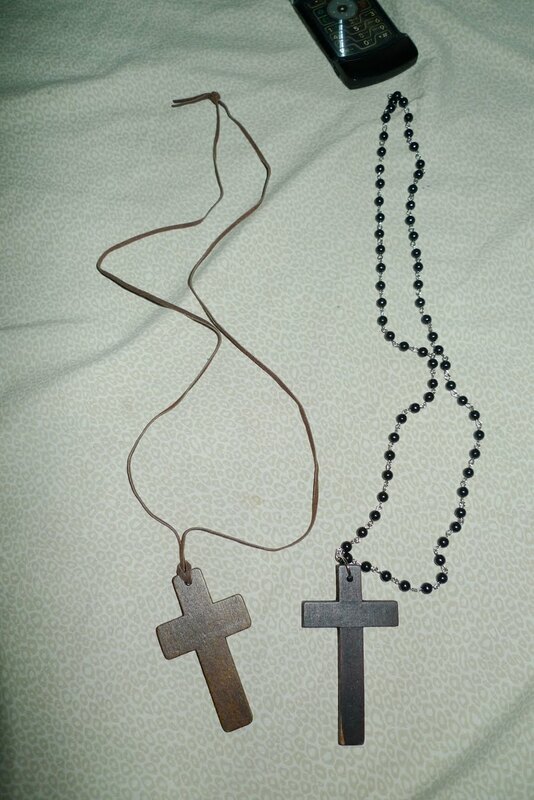 i bought one from forever 21 online a couple a weeks ago, and when i got it the cross was almost as big as yours. i wasnt expecting it to be so huge, but it's growing on me!